The European Court of Human Rights has now reprimanded Hungary on three separate cases for flagrant violations of the human rights of left-behind parents whose children have been abducted to Hungary and have never been returned to their prior habitual residence. The European Court of Human Rights rendered its judgment in the case of Cavani v. Hungary (Application no. 5493/13), on 28 October 2014. In Cavani, the parents and children were habitually resident in Italy. The children’s mother abducted the children from Italy to Hungary in June 2005. The father then devoted several years of effort and enormous expense to trying to get his children back or at least to see them. He obtained custody of the children in Italy and arrest warrants there, but to no avail. He brought a case in Hungary under the Hague Convention but although the Pest Central District Court found that the mother was keeping the children in Hungary illegally in violation of Article 3 of the Convention, it refused to order their return to Italy because at their young age the children needed to be cared for by their mother. That ruling was in absolute violation of the Convention since “best interests” must not be considered in a Hague case. The father appealed and the Budapest Regional Court ultimately ordered that the children should be returned to Italy. However, the Hungarian authorities never enforced that order despite the ongoing efforts of the father, recounted at length in the European Court’s ruling, throughout the next several years. The Hungarian authorities repeatedly claimed that they could not find the children. During all of this time the father never saw the children. Seven years after the abduction the children were found, but only because their school principal in Budakeszi, Hungary brought a court action in Hungary in which he stated that the children were in danger in their mother’s custody and asked that they be placed in state protection. By this time the children could no longer speak Italian and they were totally estranged from their father. The Court determined that this constituted a clear violation of Article 8 of the European Convention for the Protection of Human Rights and Fundamental Freedoms, which provides that, “Everyone has the right to respect for his private and family life, his home and his correspondence.” However, the only award that it was empowered to make was a financial award to the father. In the case of Shaw v. Hungary (Case No. 6457/09, 26 July 2011), the European Court of Human Rights ruled that Hungary had violated its obligations under the European Convention on Human Rights by failing to diligently process a Hague case brought by an Irish father to secure the return of his child from Hungary to France, where they lived, following the parents’ divorce. In Shaw, the family lived in France. In 2007 the mother took the child to her native Hungary for what was supposed to be a Christmas vacation. However the mother never returned the child. The father promptly brought a Hague case in Hungary and also obtained a custody order from the French courts but he never saw his daughter again. A court in Pest, Hungary ordered the child’s return and two appeal courts upheld the return order. The local bailiff twice unsuccessfully called on the mother to comply voluntarily with the court’s order. Meanwhile, a French court issued a European arrest warrant for the mother for the offence of change of custody of a minor. She was then arrested in Hungary but was promptly released by the Budapest regional court on the ground that similar proceedings were pending before a Hungarian court. The mother then disappeared with the child and the Hungarian officials thereafter continuously claimed that they could not find her or the child. Having exhausted his remedies in Hungary the father ultimately brought suit against the State of Hungary in the European Court of Human Rights. He complained that Hungary had violated his rights under article 8 of the European Convention on Human Rights, upholding private and family life, by failing to take timely and adequate measures for him to be reunited with his daughter. The Hungarian government claimed that it had had done everything possible to try to secure the child’s return to France, but that the mother had absconded with the child which had temporarily prevented the authorities from taking any further measures. Finding that the Hungarian state had violated the father’s rights to family life, the European Court ordered the payment of €20,000 for the anguish and distress he had suffered as a result of the insufficient measures taken by the Hungarian authorities and awarded €12,000 for legal and related expenses. However, the Court had no power to locate the child or to return the child to the father. In the case of Prizzia v. Hungary (Case No. 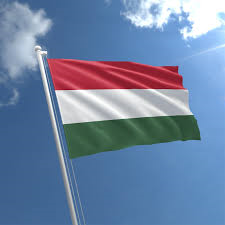 20255/12), the European Court of Human Rights ruled that Hungary had violated its obligations under the European Convention on Human Rights by failing to honor and implement the rights of a left-behind American father to have contact with his abducted son living in Hungary. In Prizzia the parents lived in Virginia with their son. The Hungarian mother took the child to Budapest for a Christmas visit in 2003 and then refused to return him. He promptly commenced a case in Hungary under the Hague Convention and traveled to Hungary on many subsequent occasions for the ensuing litigation. He lost at first instance on the improper ground that the mother was Hungarian and that it was better that her child live in Hungary. On appeal he won but the media in Hungary complained that American authorities were “bullying” the Hungarian authorities and the Supreme Court of Hungary changed its earlier ruling and refused to return the child on the ground that he should not be separated from his Hungarian half –brother. The father then engaged in several years of intense litigation in Hungary to try to at least get access to his son. A court in Budapest ultimately gave some limited access rights to him but those rights could not be enforced. Ultimately the father was able to see his son very occasionally but only in Hungary and he was never able to take his son for visits to the United States. The Supreme Court of Hungary eventually ordered that there should be summer visits to the United States but the authorities in Hungary failed entirely to allow those rights to be enforced.